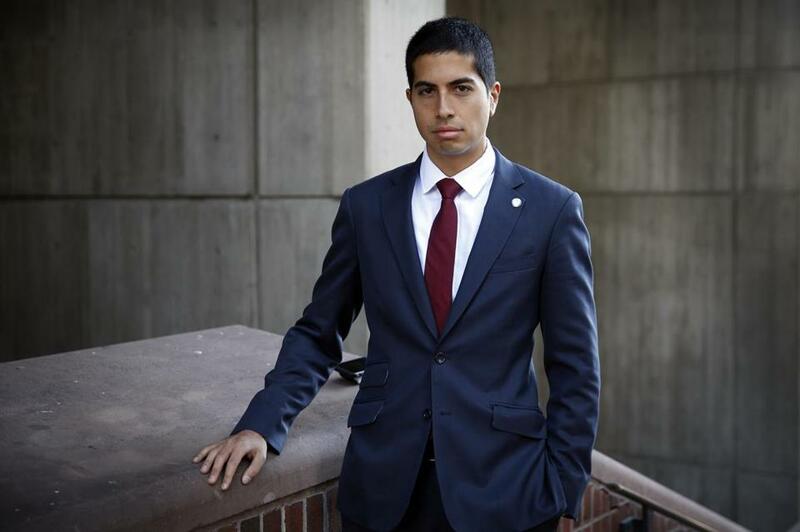 Daniel Koh, the wunderkind chief of staff who helped shepherd Mayor Martin J. Walsh’s administration through most of its first term, is leaving that post by the end of the month, city officials announced. The 32-year-old Koh is preparing a run for Congress, according to sources familiar with his thinking, and he is looking at moving back to his hometown of Andover and immediately embarking on a multi-million-dollar fund-raising campaign. “I look forward to announcing my next steps in the near future,” he said. Walsh tapped his chief financial officer, David Sweeney, to succeed Koh, promising a swift transition for the mayor, who faces re-election later this year. “David Sweeney has served as an integral part of my administration from Day One,” the mayor said in a statement released Friday afternoon. Koh’s exit marks one of the first major departures among Walsh’s senior staff since the mayor took office in 2014. Nearly all of the mayor’s core team of top aides has remained in tact throughout his first term. Walsh praised Koh for his efforts in the administration to improve education, housing and job opportunities. Koh also helped oversee the implementation of data-driven programs such as CityScore, which monitors the city’s progress on municipal services such as trash pick-up, EMS response time, and the 311 call center. “Dan is a proven leader with a big vision and a passion for making people’s lives better,” the mayor said. Koh’s departure from City Hall had been an open question since US Representative Niki Tsongas’ announcement earlier this month that she would not seek re-election next year. Democrats view Koh — who boasts Harvard College, Harvard Business School, and a chief of staff role at Huffington Post on his resume — as one of several top candidates for the race. He has previously acknowledged his interest in seeking office . Walsh has offered his support for Koh’s campaign, according to one person familiar with the early organizing. Koh would enter a race already ripe with names of other potential candidates who could claim longer terms of service to the area. Among those in the mix: Democrats Ellen Murphy Meehan, a former health-care executive and ex-wife of the longtime congressman Tsongas succeeded; state Senator Eileen Donoghue, a former Lowell city councilor and mayor; state Senator Barbara L’Italien; and Republican Rick Green, a party activist and founder of the Mass. Fiscal Alliance. Tsongas’ Third District includes all or part of almost 40 communities including Lowell, Lawrence, Methuen, Haverhill, and Andover. Koh was raised in the district but lives with his wife Amy Sennett, a lawyer, in Boston. A chief-of-staff has typically held responsibilities such as corralling the mayor’s cabinet and sharpening the mayor’s vision for city services and programs. It’s often a behind-the-scenes post, but that was not the case for Koh. In Sweeney, Walsh has chosen for his top aide a savvy numbers manager who has overseen the city’s $3.15 billion budget and helped Boston achieve its first perfect bond rating from key crediting agencies. Before he joined the Walsh administration in 2014 as chief financial officer, Sweeney oversaw the state’s then-$30 billion budget as budget director for the state House Ways and Means Committee. He also served as chief fiscal policy adviser for House Speaker Robert DeLeo and was the chief financial officer for the state Lottery Commission. “I’ve seen firsthand his ability to bring people together, inspire hard work and challenge his colleagues to think in new ways,” DeLeo said. In an interview with the Globe, Sweeney said he would take the same calculating approach that he used to oversee the city’s financial plan to his work coordinating cabinet members to carry out the mayor’s vision. Working with other cabinet members in his current post, he said, he already knows what the city’s finances are, and what its priorities are, including those laid out in the city’s recently-completed Imagine Boston 2030 plan. Jim O’Sullivan of the Globe staff contributed to this report. Milton J. Valencia can be reached at milton.valencia@globe.com.